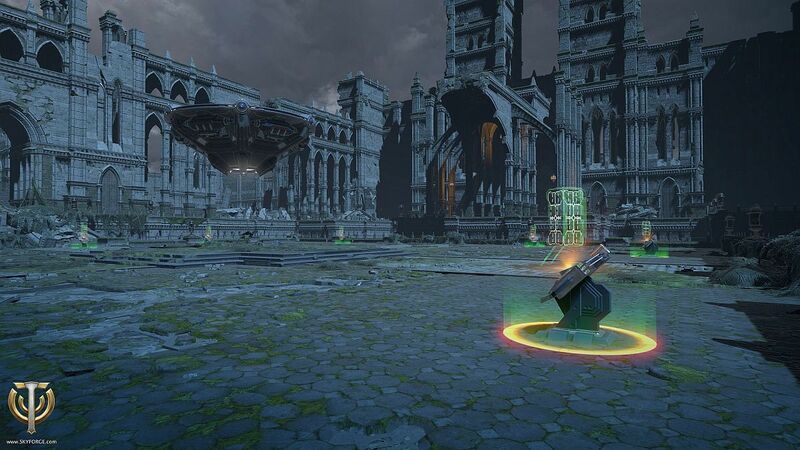 Raids are fun and grinds aren't, a lot of players will agree, and Skyforge does too with its latest update discussing Distortions. Here is how they work. They're simply a 10-man raid where you fight arena style, enemy after enemy. Each enemy acts similar to a raid encounter, but the catch here is that there is a 15-minute timer from the start of the raid until the end. This adds another layer of tactical gameplay as players will need to burn each of the bosses down in rapid succession in order to grasp victory within their hands. These creatures are impatient and will not wait for groups to get into their designated positions, assign rotations and attempt a few pulls – once the fight starts, you’ll only have 15 minutes to defeat them. From screenshots, it appears buffs and other neat features will be placed on the map, making good use of these bonuses will have a big impact on the results, I'm sure. These distortions will only be available to players who have reached godhood and must be found with a special device. The first Distortion players will come across are remnants of an army belonging to an aquatic god – here they will face three of the most hostile sea creatures led by a giant Kraken. After that, you will face bloodthirsty Phytonides lead by an Entid, followed by Mechanoids commanded by a ruthless Rethiarius. It appears that there will be many of these mini-raids throughout the game and to be honest I'm VERY EXCITED for the prospect of a 15-minute raid style encounter. It's quick enough that I won't be bored and feel like the single encounter is a grind, while long enough to feel satisfied from the fight. If you want to play what I think is one of the coolest MMOs this year, you can do so now by purchasing a founder's pack here.